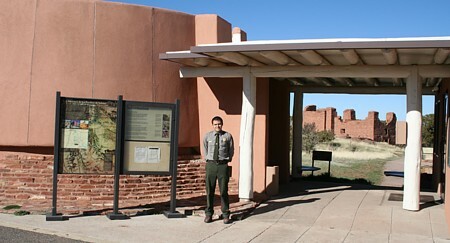 National Parks Ranger Marcus Taylor greeting visitors outside the Quarai Ruins Museum and Visitor Center. Significant restoration work has been completed and is ongoing on the mission ruin. 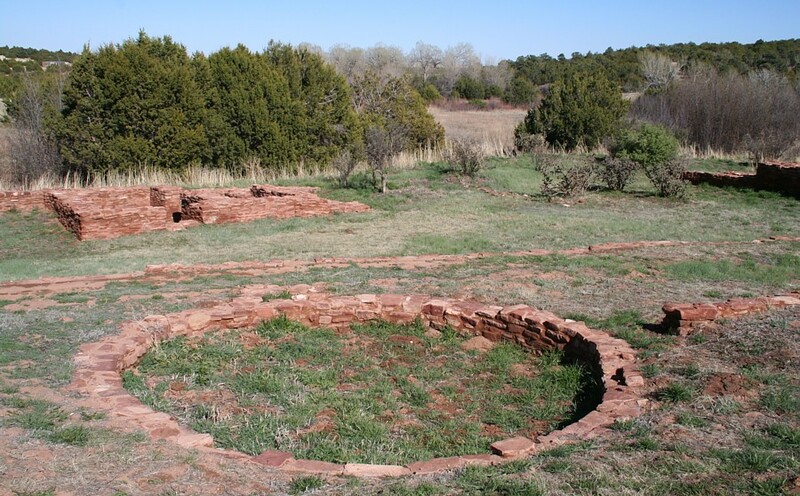 Currently, the ancient pueblo ruins are visible as masonry rubble mounds. 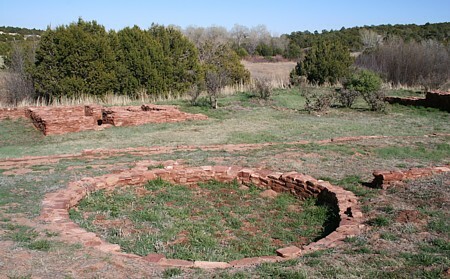 A tower structure, typical of pre-Contact pueblos, is incorporated into the convent area, as is a kiva. 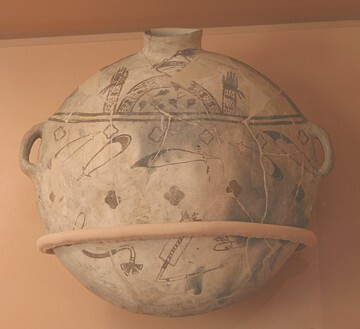 The artist conceptions of Quarai presented by site interpretations. Conquistador Juan de Oñate visited Quarai in 1598 to accept its oath of allegiance to the Spanish Crown. 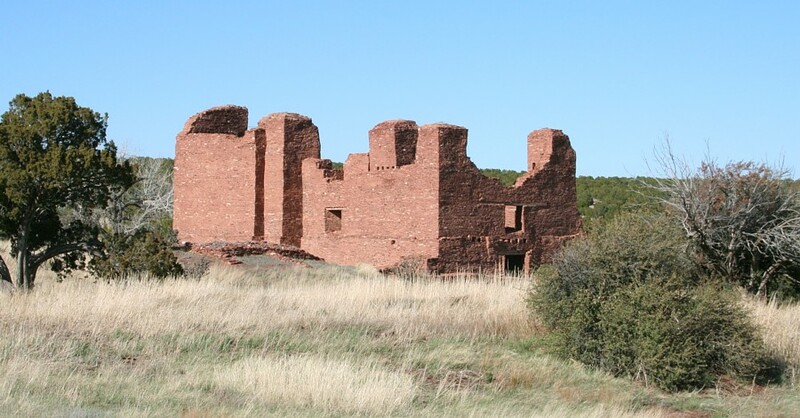 During the 1600s, three Spanish priests at Quarai were heads of the Spanish Inquisition. 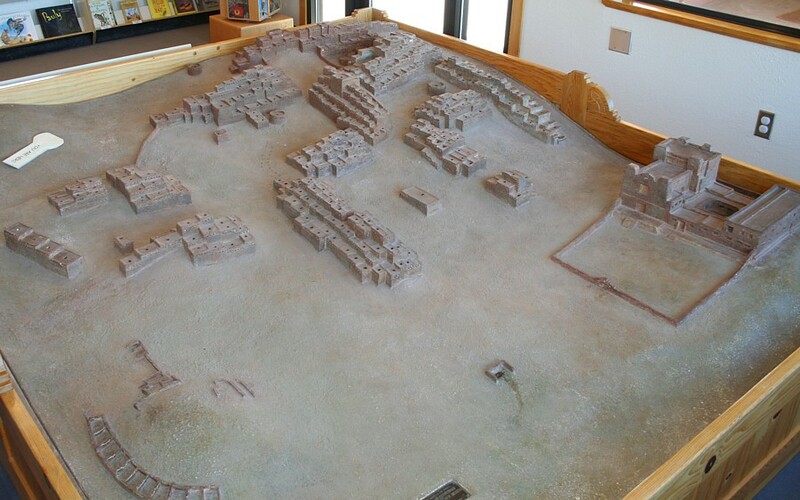 The alcade (mayor) was accused of encouraging Native katchina dances and eventually banished by the Inquisitors. Inquisition records reveal some of the pueblo's history during Spanish occupation and governance of the region. more than 10,000 souls." The Salinas District was the easternmost of mission districts in Nuevo Mexico. Quarai is located north of Mountainair and southeast of Estania, on the outkirts of Punta de Agua. Abó is just off US highway 60 west of Mountainair. 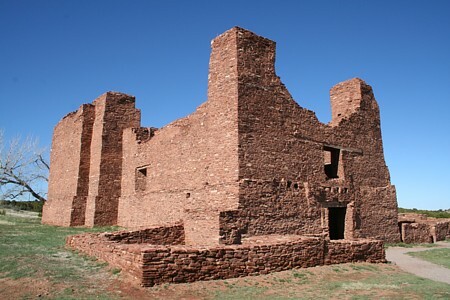 The mission ruins are southeast of Belen and northeast of Socorro.